Earlier this week I went to a party where I met a woman from South Sudan. Her name, she said, meant “dark red” in Dinka. Was it common in South Sudan to name people after colours, I asked. It wasn’t uncommon, she said. And is her name just for girls? Yes, she said. So is there an equivalent, maybe “dark blue” for boys, I asked, happy as always to be chatting along a colours theme. And she started to laugh. And she giggled until little tears formed at the corners of her eyes. 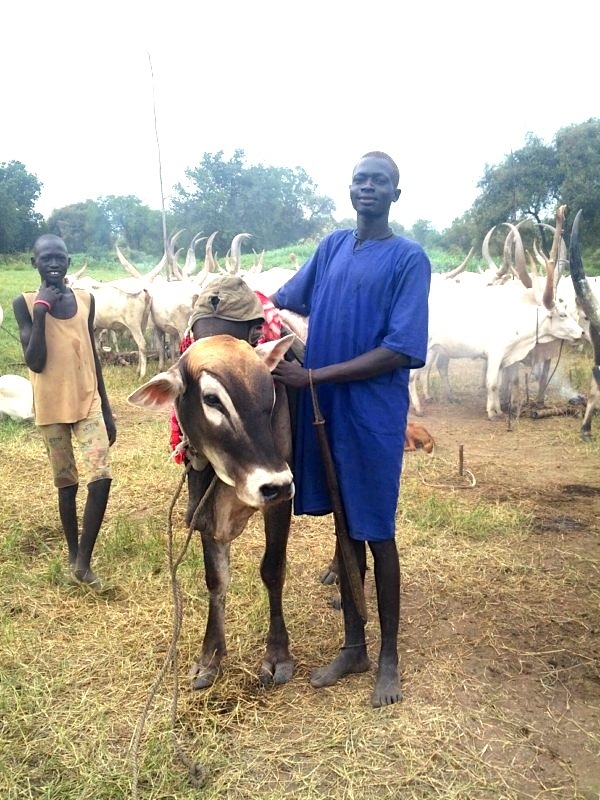 “The Dinka are cattle herders,” she said as if in explanation, and giggled again. I didn’t quite understand. “My name is the name for a kind of cattle colour…. (another shudder of laughter)… and no cows are dark blue!” And then we both laughed until we cried at the delightful image of dark blue cows grazing in an orange desert. This entry was posted in Red, South Sudan and tagged colour names, dinka, red, south sudan on May 4, 2013 by victoriafinlay.